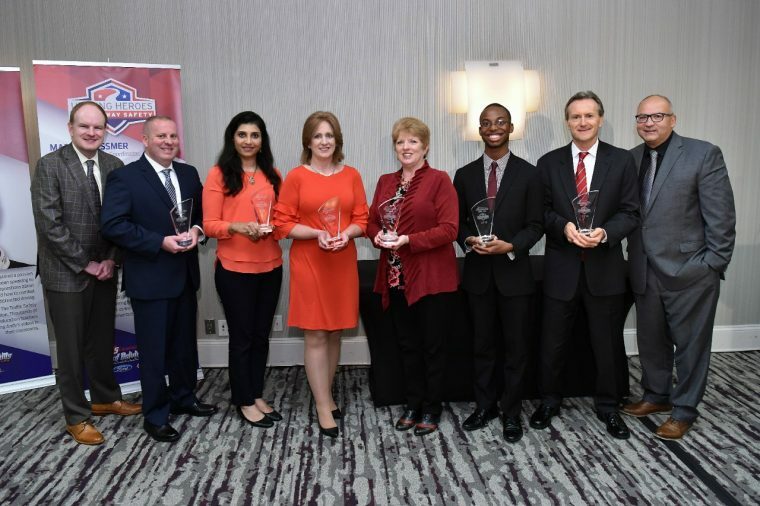 To celebrate 15 years of its Ford Driving Skills for Life program, Ford Motor Company Fund this month honored six individuals with the title of Unsung Heroes of Highway Safety. The award-winners were determined via a survey conducted in part with the Governors Highway Safety Association, and they were honored in person at a special gala taking place at the Russell Senate Office Building in Washington, D.C.
“Throughout the past 15 years with Ford Driving Skills for Life, we’ve met hundreds of individuals who share our passion and commitment to traffic safety,” said Jim Vella, president, Ford Motor Company Fund. “The six unsung heroes we are recognizing today have dedicated themselves — personally and professionally — to making roads safer in their local communities and beyond. The honorees include Andy Pilgrim, founder of the Traffic Safety Education Foundation in Bowling Green, Kentucky; John Schallenberger, a deputy sheriff at the Tazewell County Sheriff’s Office in Pekin, Illinois; Jacob Smith, a road safety activist and speaker from Whitehouse, Texas; Sandy Spavone, executive director of the Family, Career, and Community Leaders of America from Reston, Virginia; Martha Tessmer, the educational outreach coordinator with Impact Teen Driving in Fresno, California; and Franklin, Tennessee’s Purnima Unni, creator and program manager of the “Be in the Zone” safety initiative at the Pediatric Trauma Department at Monroe Carell Jr. Children’s Hospital at Vanderbilt.